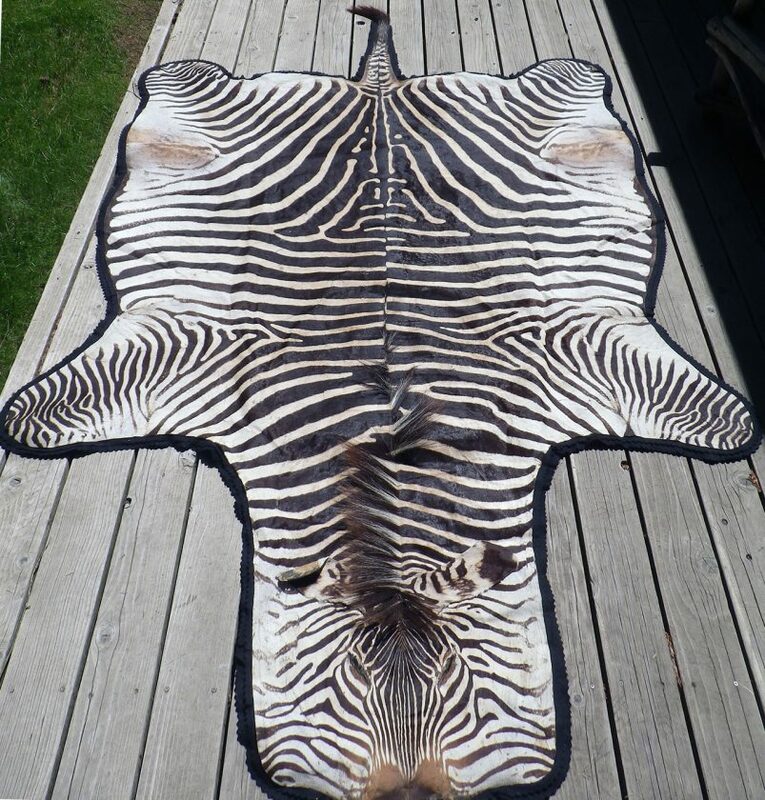 Zebra rug, padded back, double felt border, 124x74, superb condition - Sportsman's Legacy, Fine firearms, related books and sporting collectibles. Representing estates, collectors and nonprofit conservation organizations. 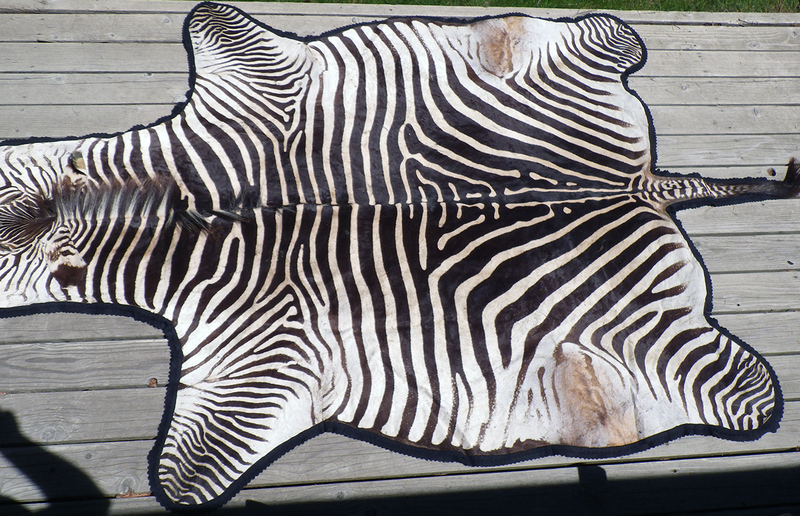 Premium zebra rug with padded back and double felt border. 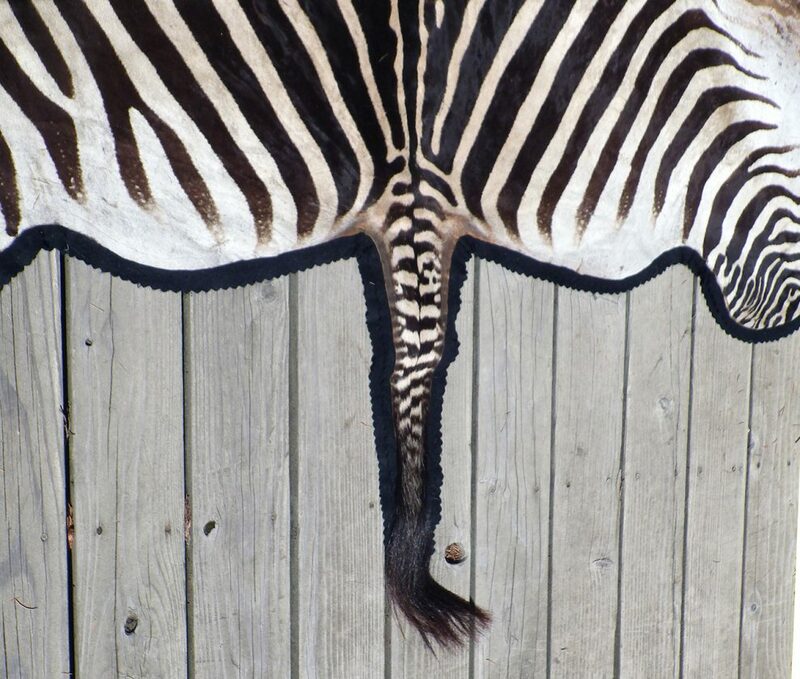 Dimensions are 124 inches long (including tail) x 74 inches wide. No aging cracks or flaws, and it appears to have never been on a floor. The price is firm and layaway is available. 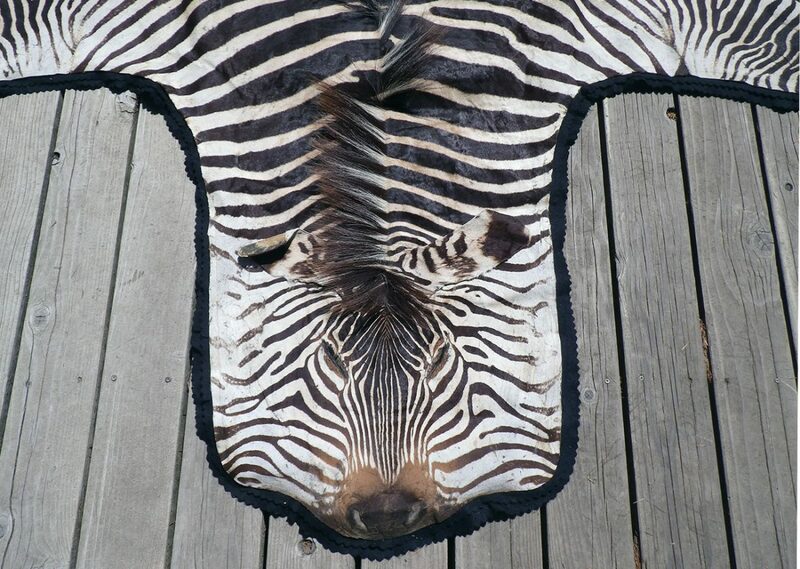 $750 plus shipping.